This new 21,000 s.t. 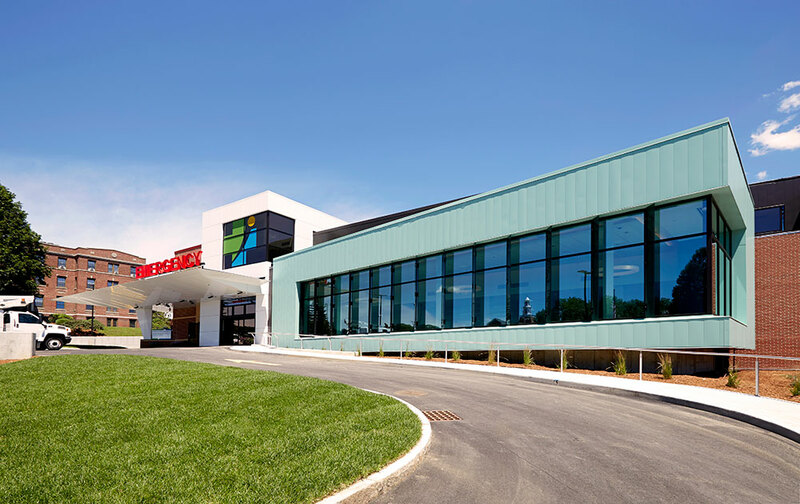 emergency department was designed to maximize staff and operational efficiencies at this busy community hospital struggling to cope with a high volume of visits and severely constrained space. Its location was determined after careful consideration of both internal operations and site logistics. 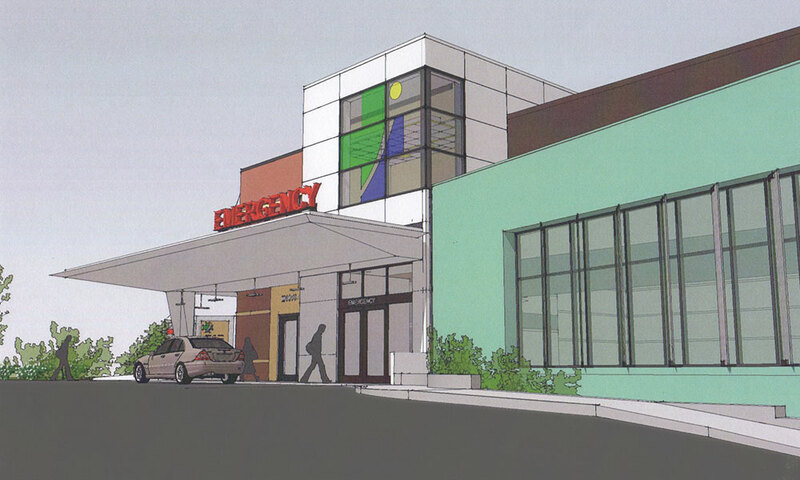 The exterior is clad in brick veneer to match the existing hospital with the exception of two prominent elements, the canopy and the waiting room. The shape and color of each selected for intuitive way finding. The large white canopy projects from the building like a wing, tapering to a thin edge. The word “emergency” is featured in large red letters above that edge to direct those in need to the entry. A single column, its form similarly tapered, provides support as the canopy turns the corner to provide cover over the ambulance area. The hospital’s logo is featured in the window glazing above the entry. The waiting room is articulated as a green copper box to match the copper trim on the existing hospital building. 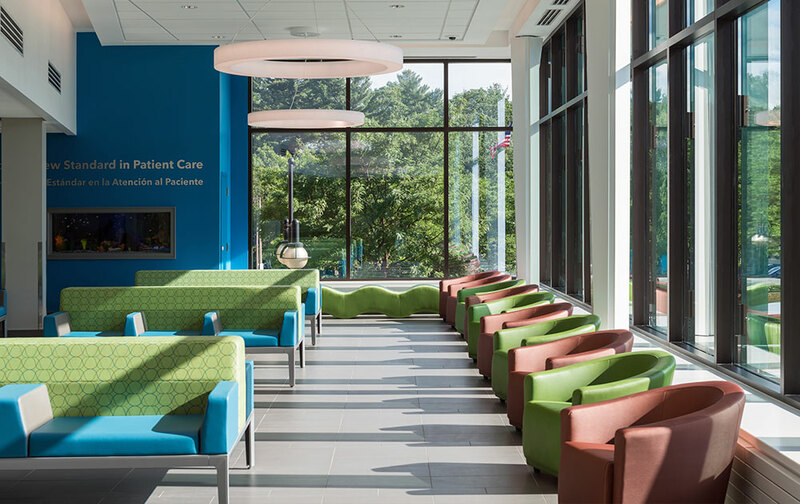 The waiting room features a large window wall providing daylight and views to those within and a sense of welcome and direction to those seeking care. 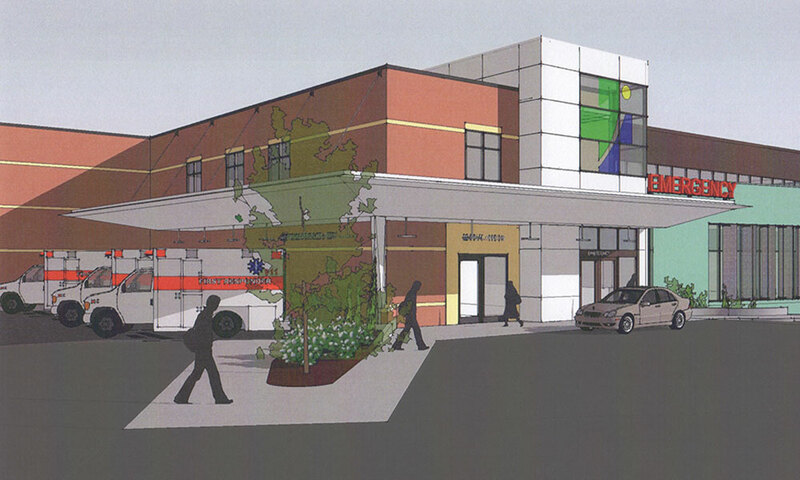 The ED provides 40 treatment area and multi-patient trauma rooms. A central support core with open sight lines to patient care areas facilitates observation and communication. 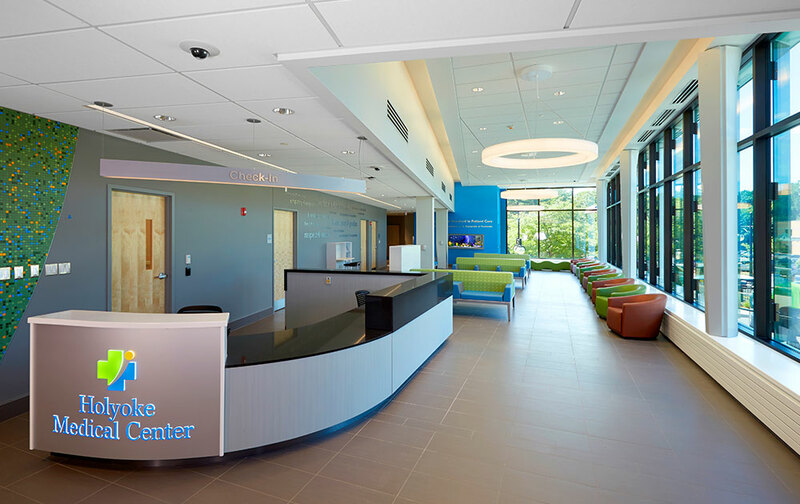 A dedicated behavioral health unit provides a secure environment for both staff and patients, featuring private rooms with windows as well as access to shared community/activity space.